Are you always looking for a healthy snack after a rigorous workout? At American Family Fitness, you’ll find a wide range of products we offer our members to promote muscle recovery and performance. Come see what we have to offer! Grab a quick snack or a refreshing drink before or after your workout at our gym in Fredericksburg. 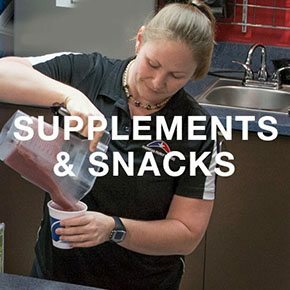 Our cafe offers smoothies, beverages, snacks, and supplements to help you fuel up and cool down. Stop by and top off your tank! Do you constantly look for food options that are delicious and healthy for before (or after) your workout? At the best gym in Fredericksburg, our Café stocks everything you need! Our list of products includes supplements, protein shakes, energy drinks and bars, as well as smoothies. It will easily satisfy any hunger cravings that appear! 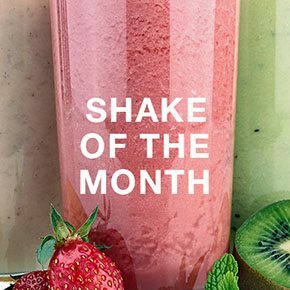 To show our members that we care, we are pleased to offer our amazing shake of the month! At our gym in Fredericksburg, each month we develop a special shake. No matter the consumer, the goal of our shakes is to improve muscle recovery and performance in the highest level of athlete. Health is the best gift of all. 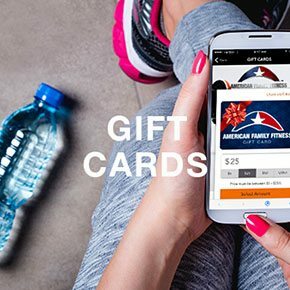 Show your friends and loved ones that you care about their wellness by getting them a gift card to our Fredericksburg gym -- and you will benefit from having a buddy to workout with! Get your friends and family to join the wellness revolution!